You can disable exo abilities if you prefer. Now that early copies of Call of Duty: Infinite Warfare are out in the wild, players are sharing information on various new tweaks and features, with one of the more interesting finds being the ability to disable exo-based movement abilities in private matches. According to user reports, one of the ways in which Infinite Warfare players can customize private matches is disabling exo-based movement abilities like wall-running, boost-jumping, and power-sliding. This leads to a more old-school “boots on the ground” kind of match which hails back to how multiplayer matches played out in earlier Call of Duty games. Of course, it also introduces a fair number of complications, since virtually all of Infinite Warfare’s maps are built with exo-based movement abilities in mind. This means that disabling the feature can severely limit a player’s ability to move around a particular map. 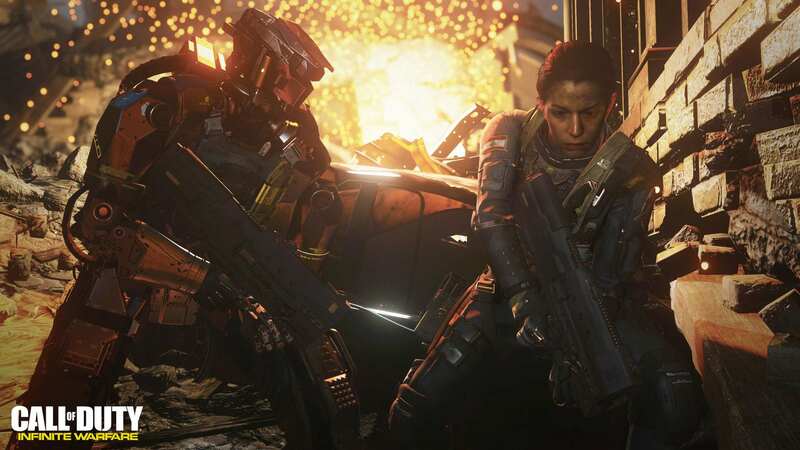 There’s no word yet on whether Infinity Ward has any plans to introduce a “Boots on the Ground” playlist into the public multiplayer rotation, though it seems unlikely considering Sledgehammer Games did so for Call of Duty: Advanced Warfare (the very first Call of Duty game to include advanced movement capabilities) and the playlist wound up being notably unpopular. For more on Call of Duty: Infinite Warfare, which officially launches this coming Friday, November 4th for Xbox One, PlayStation 4, and PC, be sure to check out our previous coverage of the game’s recent eSports event and its bombastic live-action trailer.